If you had told me some years ago a show about duck calls could generate hundreds of millions of dollars in revenue I’d reply, “There’s no way that could happen.” But happen, it did. The A&E cable TV show Duck Dynasty first hit the air in 2012, and has been popular ever since. The show is about the lives of the Robertson family who run their family business called Duck Commander. Interestingly, the show has prominently featured products for duck hunters, including the duck call known as, appropriately, “Duck Commander.” If this show was obscure, it wouldn’t be a big deal– but this show isn’t on some hard-to-find channel. And it hasn’t lacked viewers. Millions of people watch Duck Dynasty, and because of the show people who don’t even hunt still want to buy, own and use duck calls, even if just for the fun of it. Whether you’re a casual hunter or a serious hunter, one thing’s for sure: a duck call can help you catch the ducks you’re after. It’s best to buy a duck call from a reputable call maker such as Duck Commander. If you’re able to try out a duck call in person, do so. The more you spend on the duck call, the better it’ll be, so get the best you can afford. Once you own a duck call, take time to practice using it. You can use YouTube to see how others use their duck calls. If you have friends who hunt, ask them for tips. Though you may get the urge to take the call apart, it’s better not to– like any instrument they’re sensitive. If you do need to clean your duck call to get rid of dust, dirt or debris, be careful with it. You’ll want to separate the insert with the reeds from the barrel. Use cold water to clean it. Don’t use hot water to try and clean a Mylar reed– that can warp it. 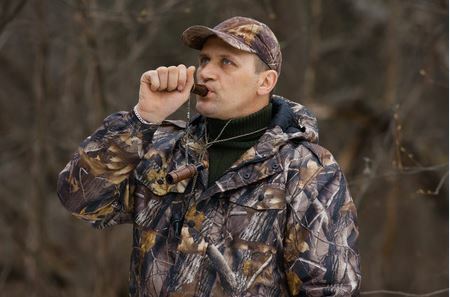 Finally, when you’re going on a hunt, don’t forget to bring your duck call with you. For Arkansas waterfowl hunts, consider Pluck-A-Duck; call 870-588-5608 for info.